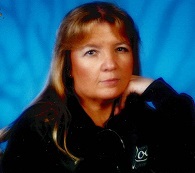 Julie Marie Martin, 60 of Dyersburg, Tennessee, formerly of Marshall, Washington and Great Falls, Montana, died on Sunday, February 3, 2019, at her residence in Dyersburg, Tennessee. She recently moved to Tennessee to be near her daughter and grandchildren. Born Wednesday, April 30, 1958 in Conrad, Montana, she was the daughter of Benny L. Beaudry and Darlene Whitmore Beaudry. Ms. Martin was an employee of the United States Postal Service. Cremation services for Ms. Martin are under the direction of Johnson-Williams Funeral Home. Mrs. Martin is survived by one daughter, Laura Marie White (Dustin) of Halls, Tennessee; one step-son, Roger Martin of Great Falls, Montana; Her parents, Benny and Darlene Beaudry of Lewistown, Montana; two brothers, Kim Beaudry of Billings, Montana and Korey Beaudry of Ridgecrest, California; two sisters, Lori Thomas of Lewistown, Montana and Tamie Kolstad of Lewistown, Montana and three grandchildren, Alyssa White, Kaden White and Jaxon White. She was preceded in death by her special friend and partner, David Leavitt and one step-son, David Martin. Online condolences may be made to the family at johnsonwilliamsfuneralhome.com. Johnson-Williams Funeral Home is honored to serve the family of Julie Marie Martin.